There are so many London cleaning companies out there that choosing the right one for you is often difficult. You do all your research online, check your local adverts and consult with friends and family who have used similar services in your area, but you can never be really certain that you will like the cleaning companies that others recommend for you. 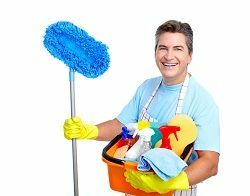 When it comes to choosing London cleaners for your home, you may have specifications and requirements that others don’t. You may be worried about your imported rugs or marble flooring, your silk curtains and antique furniture. Or you might be concerned about the chemicals that cleaning companies use and the danger they pose to your family. This is especially true if you have small children who tend to spend a good deal of their time playing on the floor. If any of these concerns sound like ones that you have, then you have found the right professional London cleaners. London Cleaner is the cleaning company for you because we take every precaution to use only the gentlest and safest cleaning products. This means that not only are your sofas and carpets protected from harsh cleaning chemicals and bleaches, but that – more importantly – your children and pets are as well. Most anyone can identify the smell of bleach if has been used recently in the home. That’s because particles of the cleaning agent are in the air, which means you are breathing them in. Most commercial products nowadays cover up their strong chemical odours with perfumes and more pleasant-smelling additives. But that doesn’t mean that are harmless in the environment in which you live. To keep your kids and pets safe while effectively cleaning your home, we use only the most gentle and least harmful cleaning products. We apply them with the proper technique, which allows us to clean surfaces and furniture with fewer chemicals and a bit more elbow grease. The result is certainly worth the effort on our part. Not only do we always have satisfied customers, but they often recommend us to their friends and family members looking for cleaning companies too. There’s no better compliment than that! When you ring us on 020 3397 3176 you can speak with someone in our office about your specific requirements of cleaning companies, such as what time of day you prefer and whether you would like to have your house cleaned on the weekend. You can also discuss the cleaning services we provide, such as carpet cleaning, end of tenancy cleaning, after builders cleaning, one off cleaning and so much more. You’ll get a free quote over the phone so you can make an informed decision about which of the London cleaning companies is best for you. We’re pretty certain you’ll choose us! But just to be extra sure, why not have us out for a trial cleaning, or a one off cleaning, of your home. We’ll get the place spotless from top to bottom, floors to ceilings and including all the unpleasant jobs you tend to put off, such as cleaning the toilets and the bathtub. Find out more about what we can offer you with one quick phone call to 020 3397 3176 and remember to think of London Cleaner when you think of London cleaning companies, whether you are looking for one deep cleaning or a more regular house cleaning services London. Keep in mind that most of our regular customers started out just like you - in search of a great cleaning company.